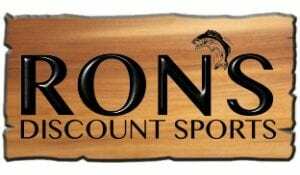 The partners of Ron's Discount Sporting Goods had worked for and with a number of big-box sporting goods retailers. This meant they had a deep knowledge of the business - but also a very demanding vision of what their website would look like and be capable of. Because of that, this was an exciting project that really tested our skills: design and layout, eCommerce setup, logo creation, hosting and configuration, Facebook and other social media connectivity, training/documentation, and beyond. Ron's had a short timeline as a goal, so we went with a standard WordPress / Woocommerce setup and theme, and spent as many hours as we could on the factors that were critical to getting product up and for sale. Ultimately, 43Folders and Ron's Sporting Goods were able to bring the site to completion and product on the web both on time and on budget!